Invitation to Media to attend Elite Private Tutors Launch Party and Awards Ceremony. We will be featuring students for their achievements, as their tutors will award them with merits such as "Next Best CEO," and "Next Mark Zuckerberg." Our focus is local stars developing rising stars. I want our mentors to award and celebrate each child for their achievements that make these children outstanding citizens of the world. Elite Private Tutors will hold their launch party from 6-8 pm on Wednesday, April 17, at Rice University’s Huff House. To honor each student for their true passions in life as well as academic achievements, each of their tutors will speak about each student and award them for their determination and persistence to focus on changing their mindset. Students will not only be awarded for “Best Improvement,” but also awards like “The Next Best CEO.” Awards will be personalized for each student the tutor has worked with over the past year. This event was inspired by an award Neha Gupta, CEO of Elite Private Tutors, received while a sophomore at Episcopal High School in 2001. She was awarded for her wonderful mentorship, which later led her to become the founder of Elite Private Tutors. In addition, Elite Private Tutors will be awarding a scholarship to one student in attendance. The privately-held event will invite students as well as parents of Elite Private Tutors. In addition, news and media outlets are also invited to attend to cover the event and celebrate the awards given to students in Houston. This is the first-ever event held by a tutoring company in Houston focusing on unique passions from each one of their clients. In addition, we will be featuring a local commercial featuring local Houston students called Invest in Our Legacy. “Elite Private Tutors focus is local stars developing rising stars. Elite Private Tutors wants our mentors to award and celebrate each child for their achievements that make these children outstanding citizens of the world. This event is to let students know how their niche, or passion that we see and recognize as a team should be celebrated,” stated by Neha Gupta. 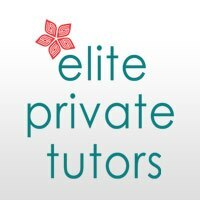 Within the last year Elite Private Tutors has grown from a small tutoring company into a strong tutoring service in the Houston area, growing over 5 times the size in just the last 9 months. Elite Private Tutors is a boutique tutoring agency helping students in all subjects including SAT/ACT, ISEE, and OLSAT test preparation, and college consulting. The company delivers concierge-level service to clients with their top-notch Rice team, and track able tutoring reports after every session. “Parents get real-time feedback after every single session, and Elite Private Tutors tracks all progress and data in our reports,” says Neha Gupta. The team credentials include a minimum 3.8 out of 4.0 at Rice University, as well as a 2200-2400 on the SAT. The team is hand-picked by Neha Gupta, CEO of Elite Private Tutors, and are trained on a monthly basis to discuss strategies and latest tutoring practices.